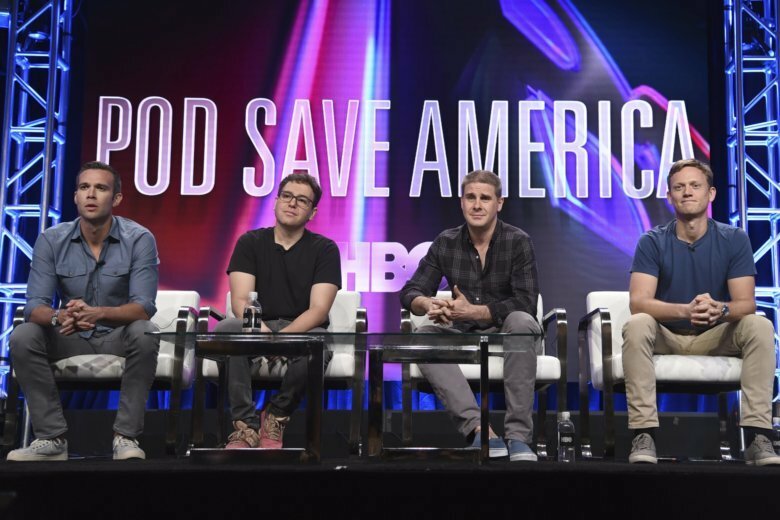 NEW YORK (AP) — The popular political podcast “Pod Save America” is coming to HBO for a series of four specials. “Pod Save America” will be hosted by Jon Favreau, Jon Lovett, Dan Pfeiffer and Tommy Vietor, who worked for the Obama administration. They will provide insight and commentary on the political news of the week. The series will debut Oct. 12 at 11 p.m. Eastern. The four episodes will be taped in front of live audiences in Miami; Austin, Texas; Philadelphia; and Irvine, California. Midterm elections will be held Nov. 6.